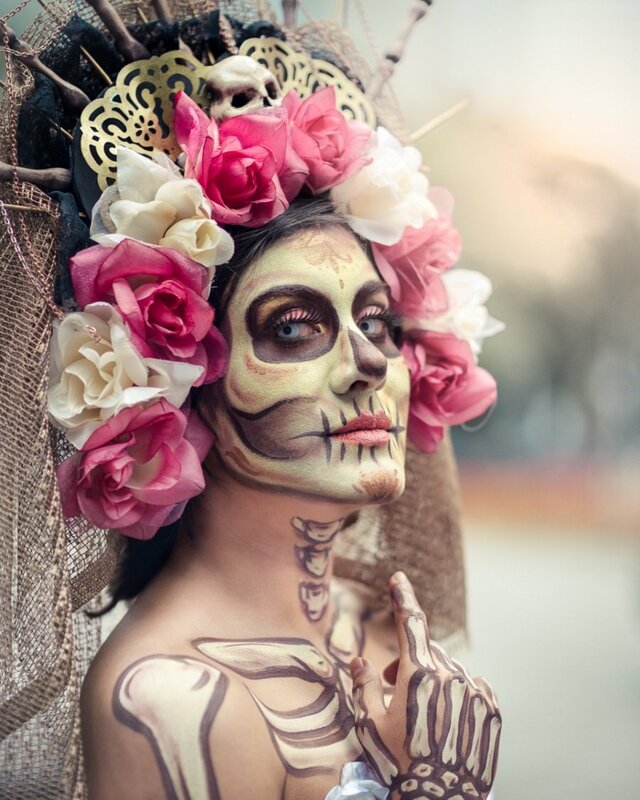 Day of the Dead, or Día de los Muertos as it’s known locally, is a celebration dedicated to our dearly departed. During this time of the year, most Mexican households put together ofrendas or offerings, dedicated to relatives and friends that have passed away. It is a time of remembrance, but it’s more festive than sad, even if some tears do fall here and there. The tradition says that the souls of the dead come back to visit us during the first two days of November and it’s our duty to help them find their way back home. Ofrendas play an important role in all of this, acting as guiding beacons. This is the reason why these traditional altars are full of color (flowers and papel picado), light (candles), smells (incense), and flavors (food). Every element helps the souls on their travel back from the great beyond. 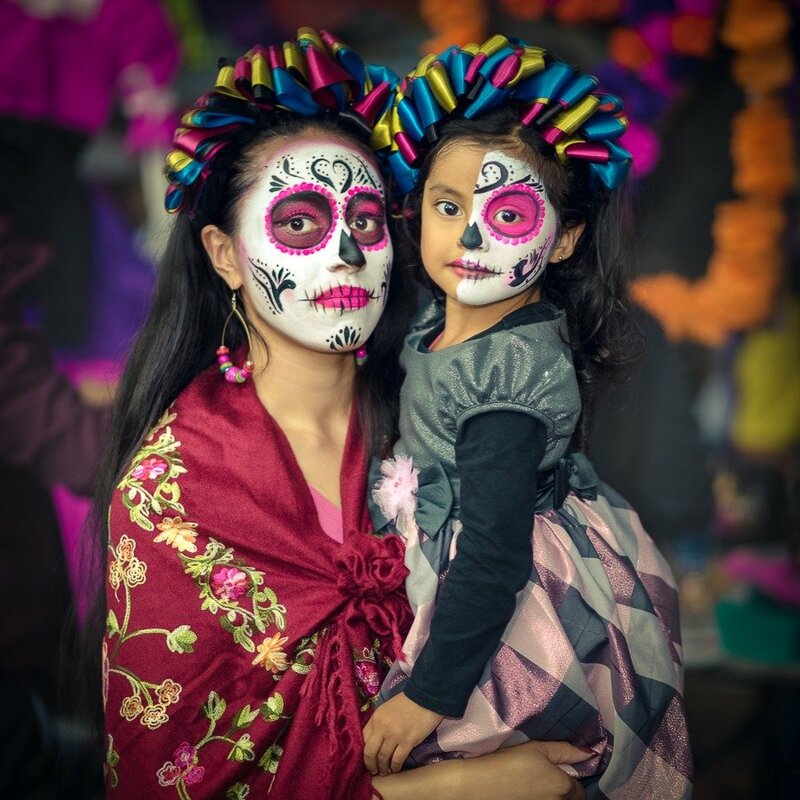 Day of the Dead celebrations invite us to acknowledge our own mortality and the ephemeral nature of life. 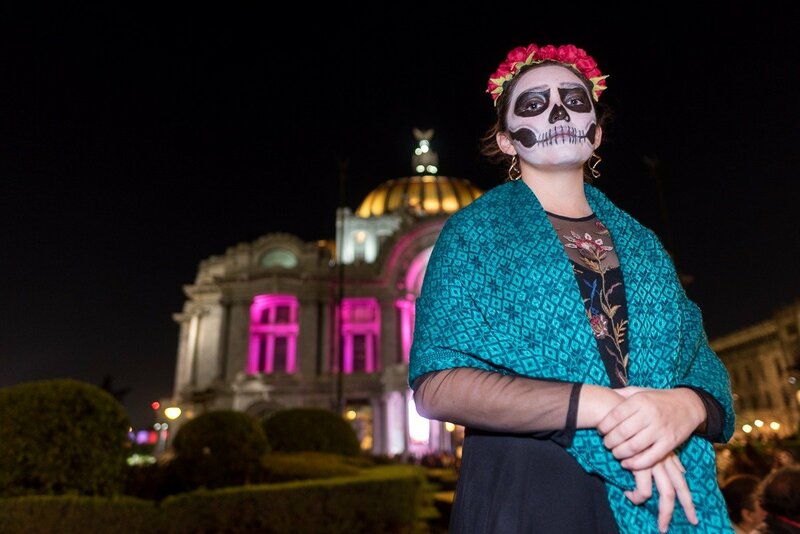 This might all sound a little dark, but accepting death as a part of life is deeply rooted in Mexican culture and Day of the Dead is living proof of the easygoing relationship Mexicans have with the subject. Ofrendas also remind us that we’ll be part of this world as long as someone remembers us. Day of the Dead is an old tradition that was celebrated by Mesoamerican cultures way before the arrival of the Spanish conquistadores. Mayans, Aztecs, Totonacs, and Purepechas had dead related festivities throughout the year. All of these traditions were eventually integrated with Catholicism, resulting in the syncretism that defines Mexican culture nowadays. Aztecs celebrated death in several festivals, but their main party was held in August. 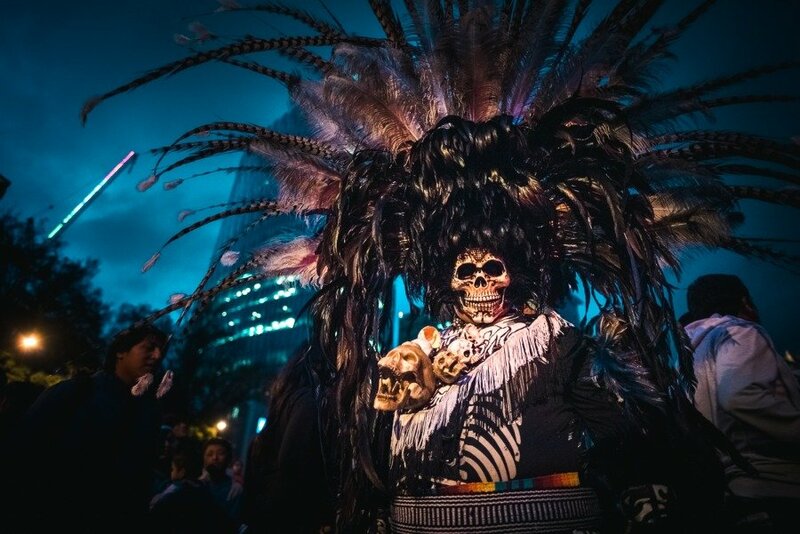 This festival was dedicated to the goddess Mictecacíhuatl, the deity of the Aztec underworld, and is probably the direct predecessor of the contemporary Day of the Dead celebration. Day of the Dead varies widely from region to region around Mexico, but there’s a central element to the celebration: the ofrenda. 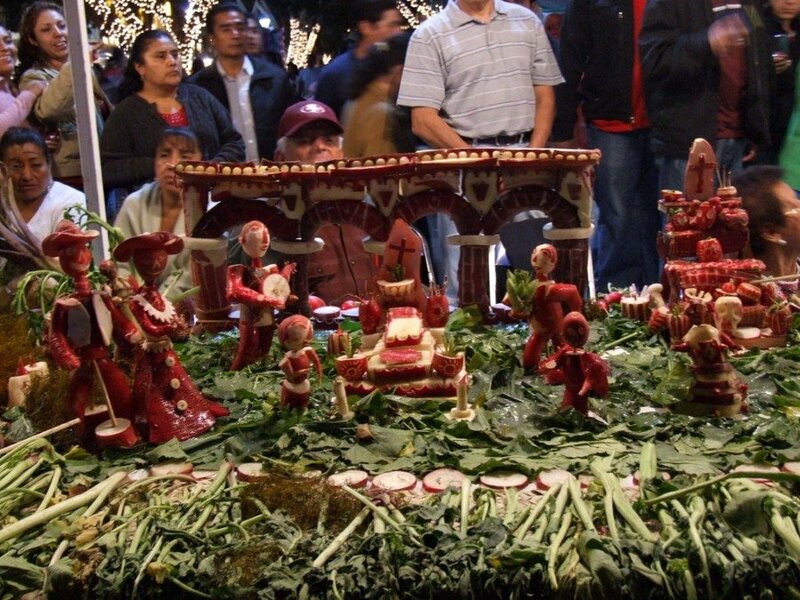 This altar is the core of the festivities and its preparation changes the rhythm of big cities and small towns around Mexico. Starting on the last days of October, people go out searching for all the necessary elements for their ofrenda; market vendors offer cempasuchil flowers, sugar skulls, papel picado, and candles to satisfy the increasing demand; monumental altars start appearing around parks and public plazas; cemeteries get quite busy as people come and go with flowers to decorate the graves; and in most homes you can breathe the peculiar smell of ofrendas: a mixture of incense, fruit, flowers, and traditional food like pan de muerto (bread of the dead), mole, pumpkin candy, and whatever our dearly departed liked the most. Some celebrations around Mexico have prehispanic roots, like Xantolo in the Huasteca, and Ninin in the Totonac regions of Veracruz and Puebla. Some other places —like Oaxaca, Michoacan, and Mixquic— have gained international recognition for the spectacularity of their celebrations. 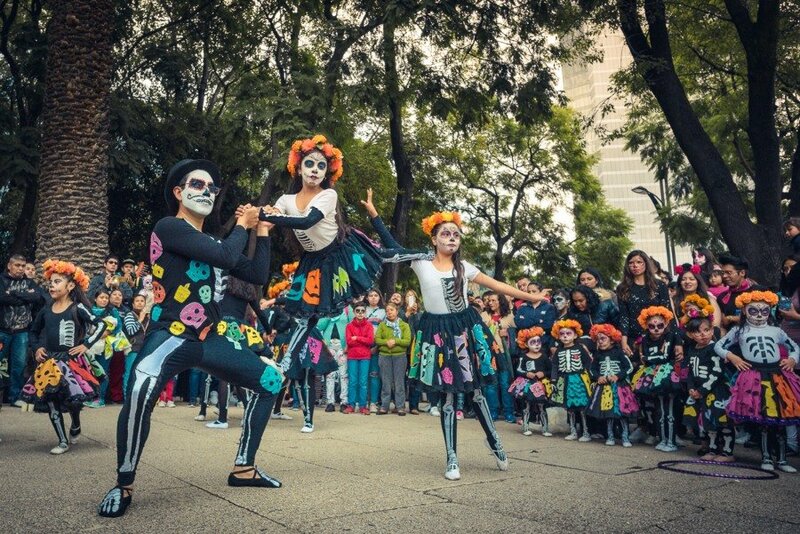 More recently, most big cities around Mexico have started organizing massive events around Day of the Dead. Mexico City, for example, organizes an impressive yearly parade that gathers people from all around the world. 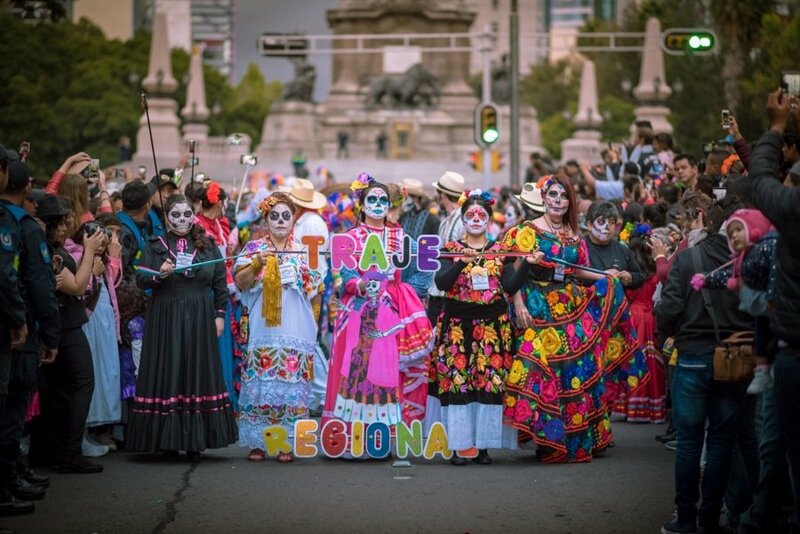 Another new tradition is the Catrina processions, where thousands of people parade disguised with the colorful Day of the Dead makeup. When is Day of the Dead celebrated? Celebrations vary around Mexico, but the main dates are November 1st and 2nd. The first day is dedicated to the souls of children, but the main celebration takes place during the second day. 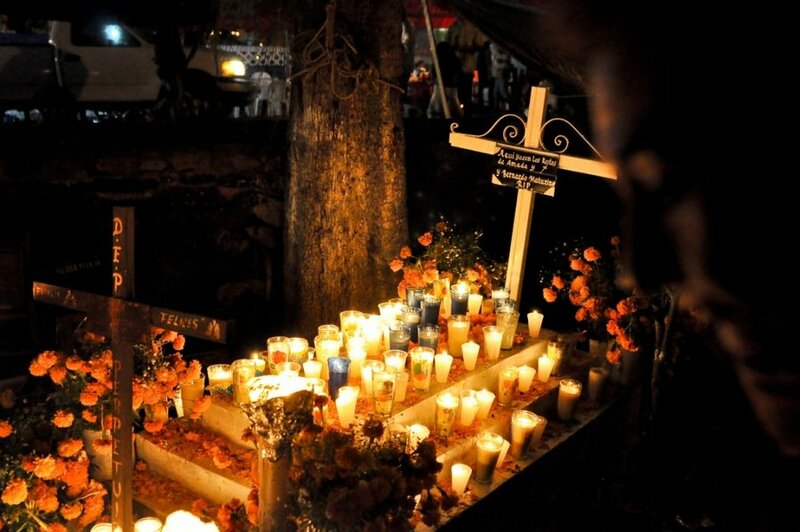 Some cemeteries organize alumbradas — an impressive wake where the whole place is lit up with candlelight — during the early morning of November 2nd. Parades and processions normally take place during the last days of October. 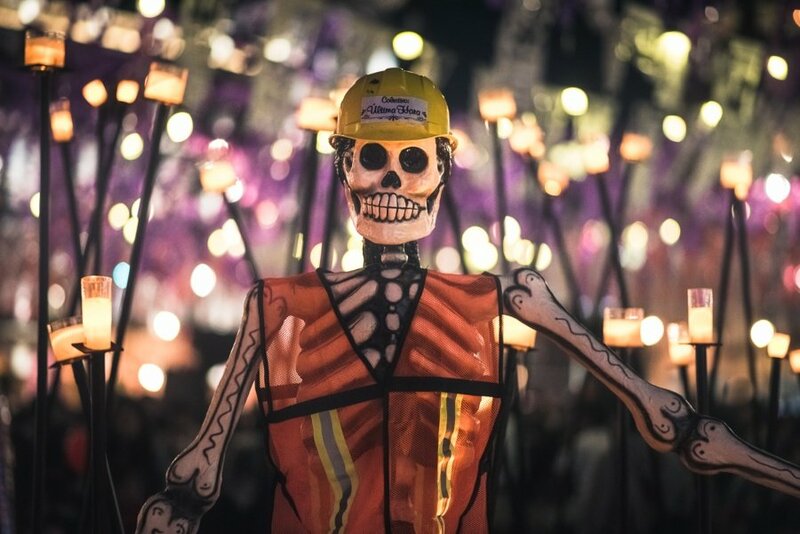 What to do during Day of the Dead in Mexico? Celebrations vary widely from year to year, but here’s a list of the highlights you should look forward if you visit Mexico during this time of the year. This small town in the middle of a lake has one of the most vibrant Day of the Dead celebrations in the whole of Mexico. Every small town around the lake area has its own celebration, but Janitzio is the most famous. 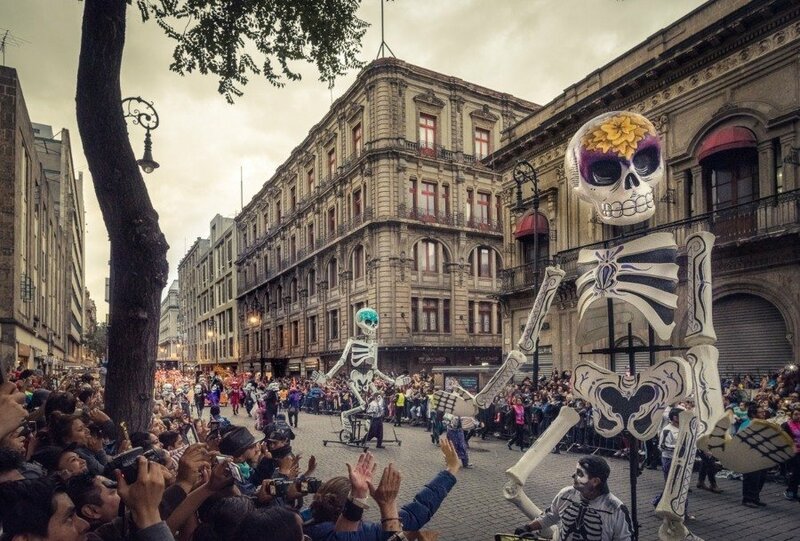 Held a weekend before Day of the Dead, you’ll want to find a good spot early in the day as the crowds will be packed for this wonderful spectacle. 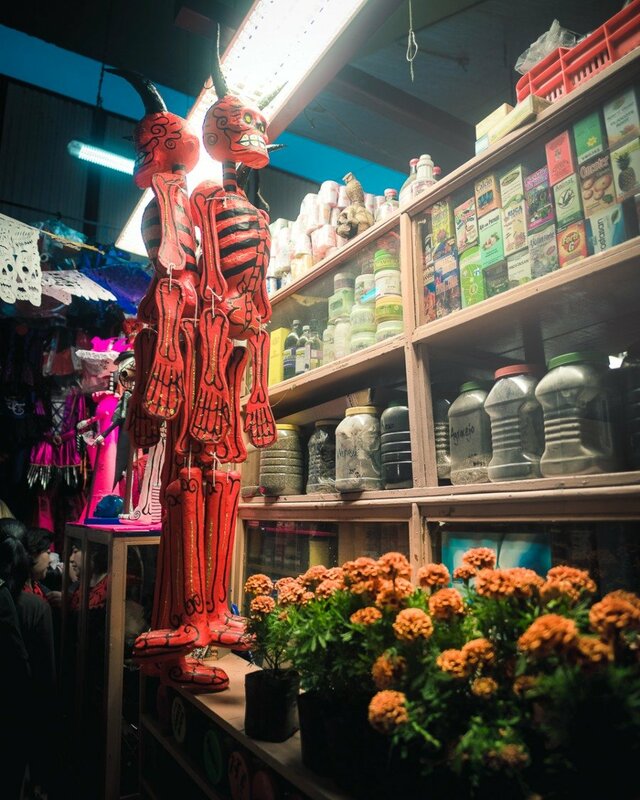 This town is officially part of Mexico City, but it has a completely different vibe. All those pictures of a cemetery full of candles and flowers that are around the internet are probably from Mixquic during Day of the Dead. This city near the Pacific Mexican Coast is full of tradition and has a very strong cultural identity. 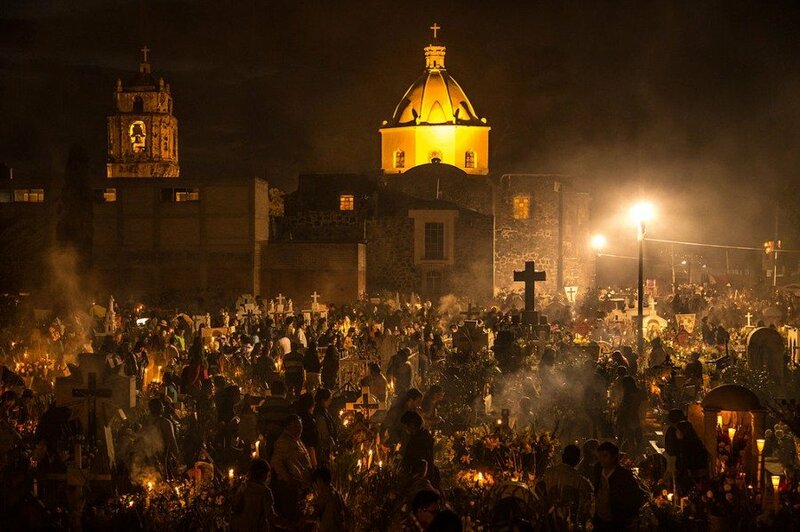 Day of the Dead is one of the best times to experience everything Oaxaca has to offer. Make sure to reserve a place to stay well in advance. Ofrendas will be everywhere, but there are some traditional ones you shouldn’t miss. Especially the mega ofrenda in Zocalo (Mexico City’s main plaza), the ofrenda from the National University (which is put together in Santo Domingo square), and the ofrenda at Museum Dolores Olmedo in Xochimilco. Here are some more pictures of people celebrating in and around Mexico City. 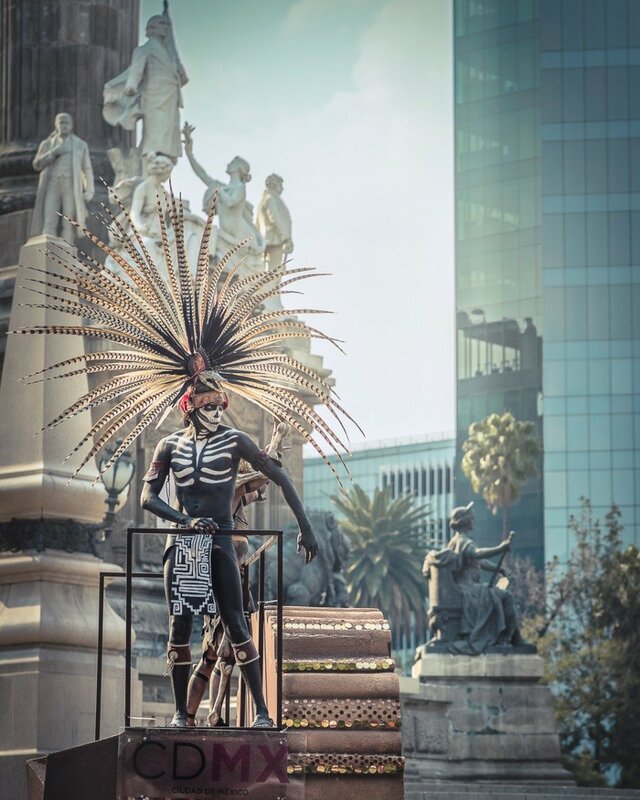 Big thanks to our wonderful Mexico City guide Rulo, for helping us dive deeper into these spectacular celebrations. 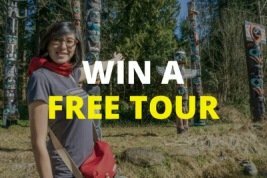 We’ll be offering a special Day of the Dead private tour itinerary in 2019 so be sure to follow us on social media and subscribe so you don’t miss out. 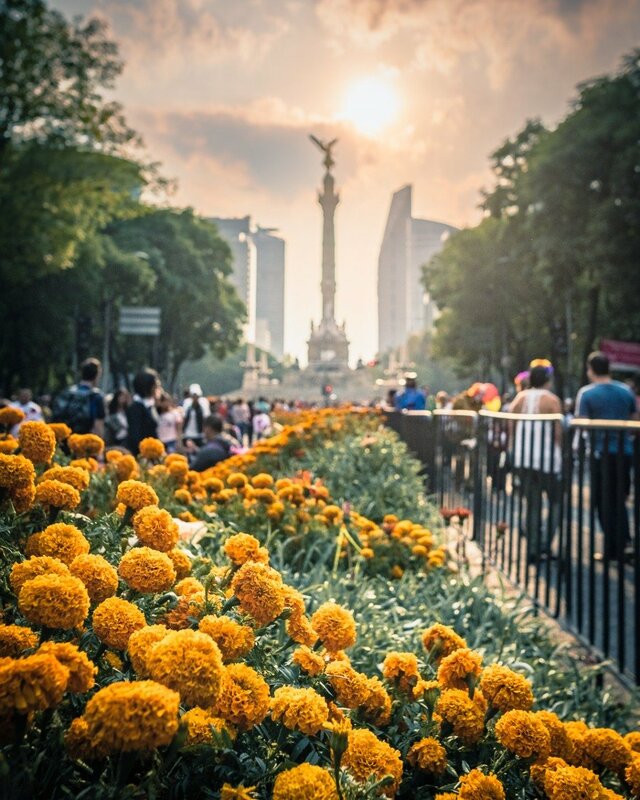 If you are planning a trip to Mexico City, check out our guide on the best things to see & do and we can’t wait to have you on a Boutique Traveler tour!